8 more boys and their coach still to be rescued. News COACH Ekkapol Chantawong has fought malnutrition and exhaustion to keep the 12 boys in his soccer team alive. 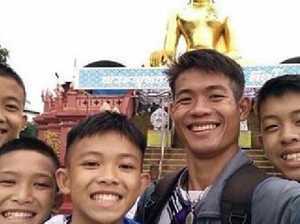 News AN ADELAIDE doctor reportedly was the one who made the decision on which boys were saved first from the Tham Luang in the dangerous journey to freedom. 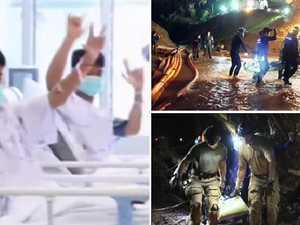 News THE first four of the schoolboys trapped in the Thai cave have beat the odds to make it through an unfathomably risky journey.